With easy to follow complete rework instructions and recommended rework tools and materials, evaluated in ChipQuik's own labs. The contents of this kit consists of the latest solder/desolder products available. Each individual item has been carefully selected to fill your rework needs. Solder 3 ft. 63/37 2% silver .031 in. Chip Quik Paste flux- no clean flux in 1 cc syringe w/nozzle & cap. Used for solder/desolder. 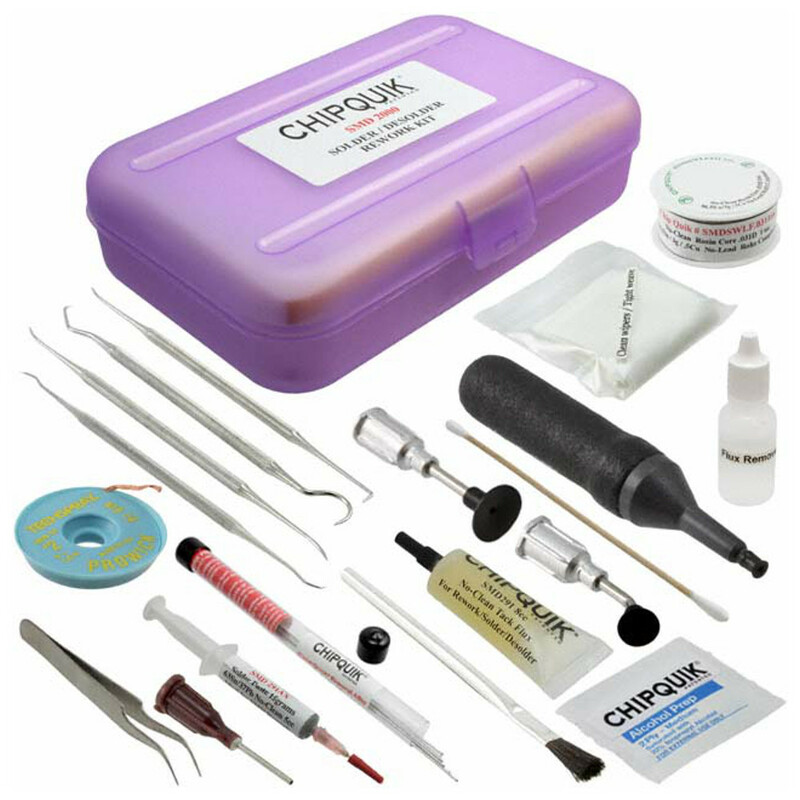 Probe kit - 4 stainless steel dental picks for SMD removal & placement. Super Wick - no clean - 5 ft. Acid brush - qty. 2. Precision tweezers - for SMD removal & placement. Cleaning wipers - tight weave / low lint 4"x4" qty. 6 (for cleaning PC board).